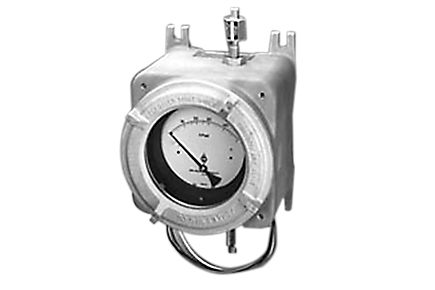 The Mid-West Model 130 Diaphragm Type Differential Pressure Gauge is CSA Certified to both the Canadian and U.S. Standards and U.L. Listed to the U.S. Standards. The entire assembly is Certified for use in Class I, Division 1, Groups C, D; Class II, Division 1, Groups E, F, & G Hazardous locations. The entire gauge and the switch is enclosed in a rugged flameproof enclosure. The use of reed switch technology eliminates the need for an additional explosion-proof seal fitting within 18″ of the enclosure. Certifications: CSA Certified, UL Listed, Class I, Division 1, Groups C, D; Class II, Division 1, Groups E, F, & G.